Why Qing Shan Ju Tea House is special ? The Qing Shan Ju Tea House in Beijing was built in the 1600s, which offers traditional selection of tea in China. The shop is famous for its expensive Pru’er tea which claimed to have a lot of health benefits that includes lowers cholesterol, lowers sugar for diabetics and even lowers uric acids. At Qing Shan Ju Tea House, visitors have a chance to attend a tea ceremony where they show you how to properly prepare and drink tea, teach you about the specific benefits of each tea and, the best part, let you taste the teas for free. 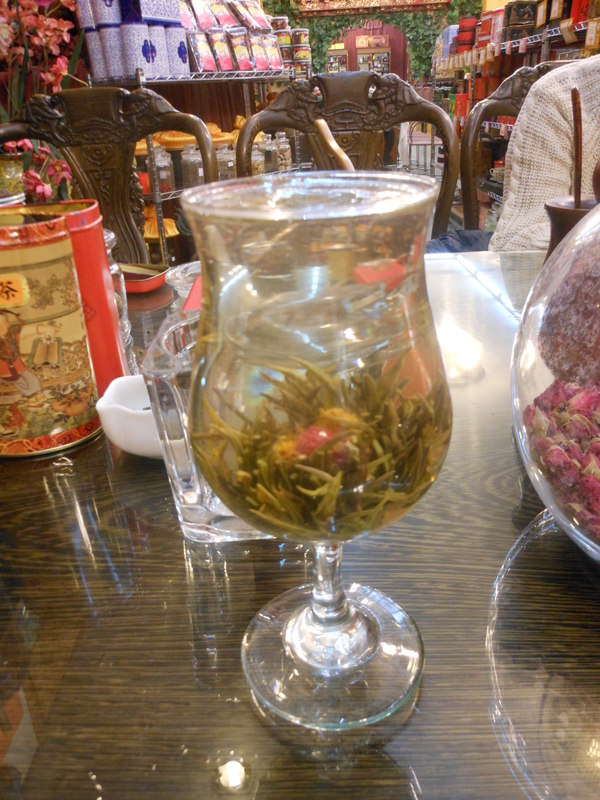 What to explore at Qing Shan Ju Tea House? At this popular tea house in the city, you will join in a mini tea ceremony, where you can learn about different Chinese tea practices and instruments. You also have a chance to taste five traditional Chinese teas, which are all, as expected, beneficial for great health. Pu’er Tea, known as the “Longevity Tea” because it is good in lowering blood pressure, normalizing high cholesterol levels, and preventing diabetes. It also is good for drinking before bedtime as it doesn’t have caffeine. How to get to Qing Shan Ju Tea House? Qing Shan Ju Tea House is located out the East gate of the Temple of Heaven. You can reach the Temple of Heaven by the following routes. Pu’er Tea is the most expensive tea because there's not many shops selling this type of tea. When you go to Beijing, make sure you have someone who speaks Mandarin with you or if you can, you can pick up some essential expressions. There's a large percentage of the population still don’t speak English. It's good for your health if you should ask the owner about how to use these types of tea and how much is enough for one person use it. As bonus, you can buy peepee boy, a fun little gadget to help know when the water is the the right temperature.